This is #1 on our list for beginner trail runners. The trail is smooth and even wide enough for a jogging stroller if you want to bring your kids along to explore a bit of nature. We recommend the 2 mile loop (Coyote song to Swallow trail) with just the right amount of rolling hills that will take you through fields of wildflowers and majestic rock formations. When most people think about Red Rocks, they think of the famous Amphitheatre. But did you know that there are miles of trails right from the Trading post parking lot? 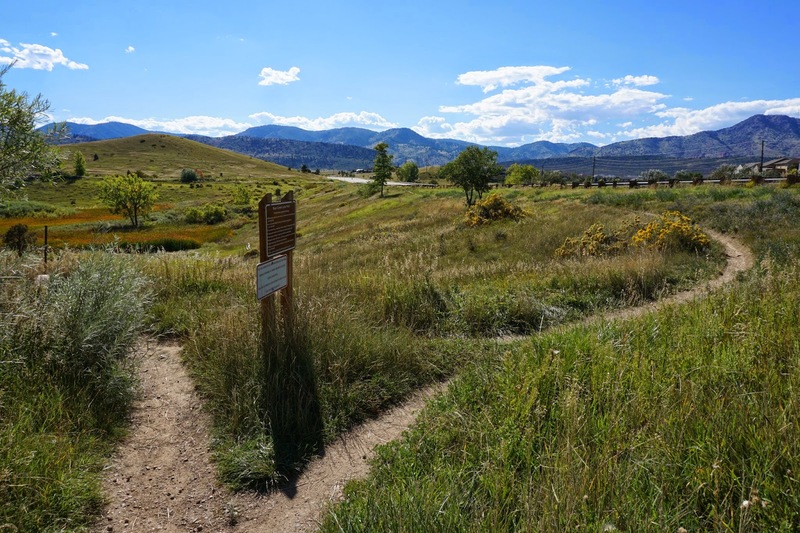 The 1.4 mile Trading post loop trail is a great beginner trail. Several rocky sections and steep climbs but the scenery is well worth the effort! This park is most known for its “mini-incline” or staircase straight up a 200ish foot hill. The park recently added miles of new trail, designed in the shape of flower petals. 4 loops (or petals) start and end at the athletic fields, each ranging from 1.5 to 3 miles. The trails are pretty smooth with rolling hills and some moderate climbs. Plan on seeing lots deer and peregrine falcons on your runs here. We recommend going to this park if you are training for an event or looking to add mileage weekly: as your fitness improves, add another loop! “Green Mountain” as it is known to us locals cannot be missed. As you are driving on c-470, the mountain rises from the city of Lakewood like gentle folds of blanket. It’s not so much of a mountain than a really big hill. There are many different trails around and up to the top of this park, the easiest trail is the Green Mountain Trail which is a 7 mile loop that winds along the base and then up to the top and back around again. If you go to this park plan on seeing a lot of mountain bikers and this time of year (late spring/early summer) rattlesnakes. Don’t let that scare you away from visiting in the spring however, this is when the mountain is at its most beautiful and fits its namesake with fields of bright green grasses and colorful wildflowers. If you run here in the middle of the day or during summertime, make sure to wear sunscreen, a hat and bring plenty of water. There is no tree coverage and it can get quite hot. 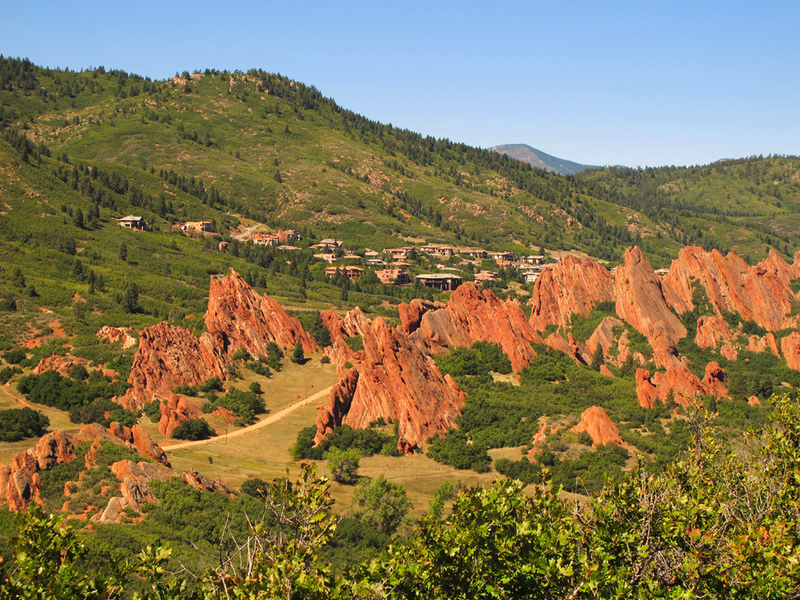 These iconic bright red and orange rock formations make this park worth the visit. Because this is a state park there is an entry fee and dogs, bikes and horses are prohibited on the trails. There are miles of easy to moderate trails that wind through the native, desert like vegetation. There is little tree coverage on these trails so make sure to plan accordingly! 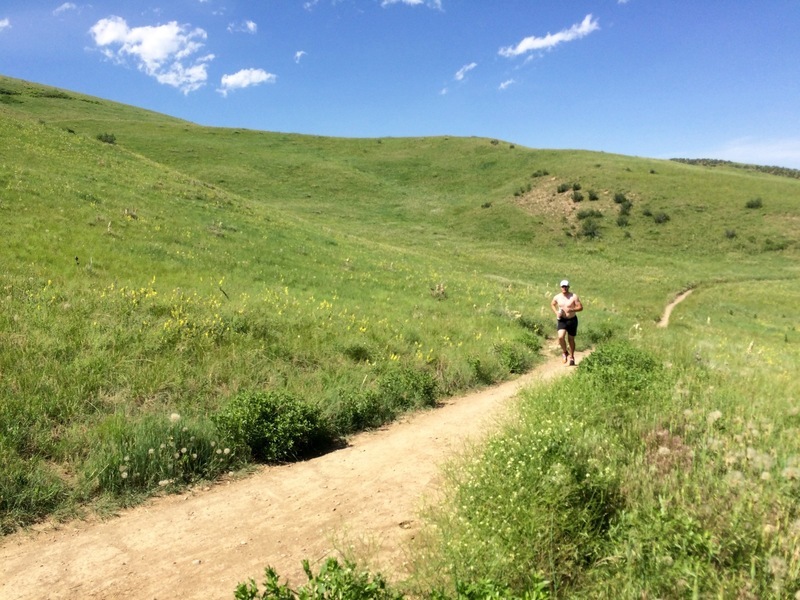 The Bluffs trail is probably #2 on our list for beginner trail runners. The trails aren’t true “single track” trails but a wide gravel road that loops around and up to the top of the Bluff. 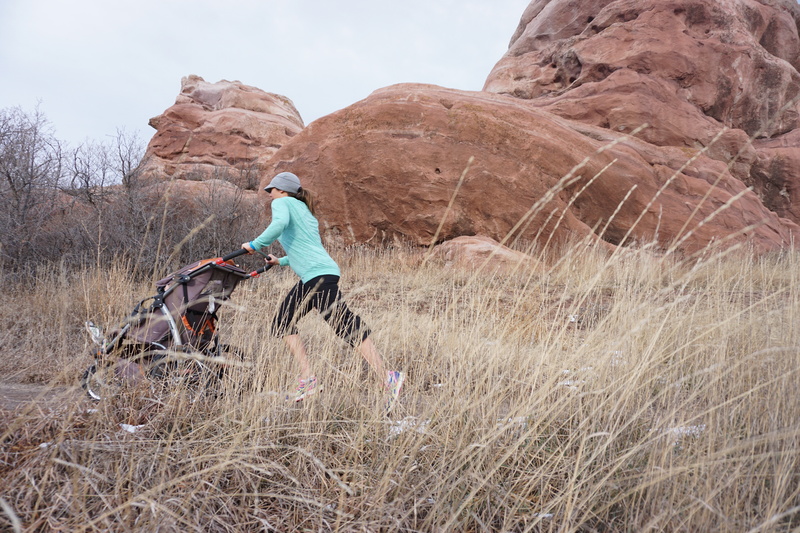 This trail is definitely stroller friendly and offers some long gradual hills, enough to slow down a trained runner. There is a 2.7 loop with extra mileage if you add the lookouts. Expect beautiful grassy meadows with amazing views of Pikes Peak, the central mountains and Denver from the top! This is city park so be prepared to pay an entry fee. If you want to avoid the fee and add an extra 1/2 mile to your run, park in the gravel lot located across the street from the Conoco off the Morrison exit and then cross over onto the bike path which will take you into the park by foot. The trails at Bear Creek park are relatively flat and a lot of fun! Plan on a couple of creek crossings and a lot of shade, this is a great spot to run mid summer with plenty of opportunities to cool off! 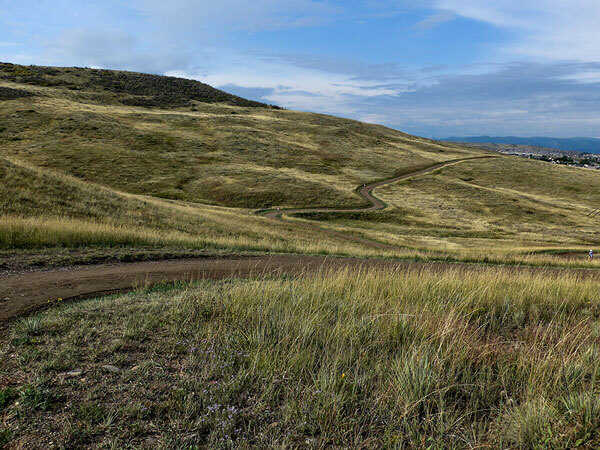 Stay tuned for follow-up posts with more great front range trail recommendations for beginner and intermediate trail runners coming soon including North Denver and beyond. Don’t see your favorite trail on the list or have a recommendation for beginners? Post it in the comment section below! Want to get into trail running but don’t know where to start? 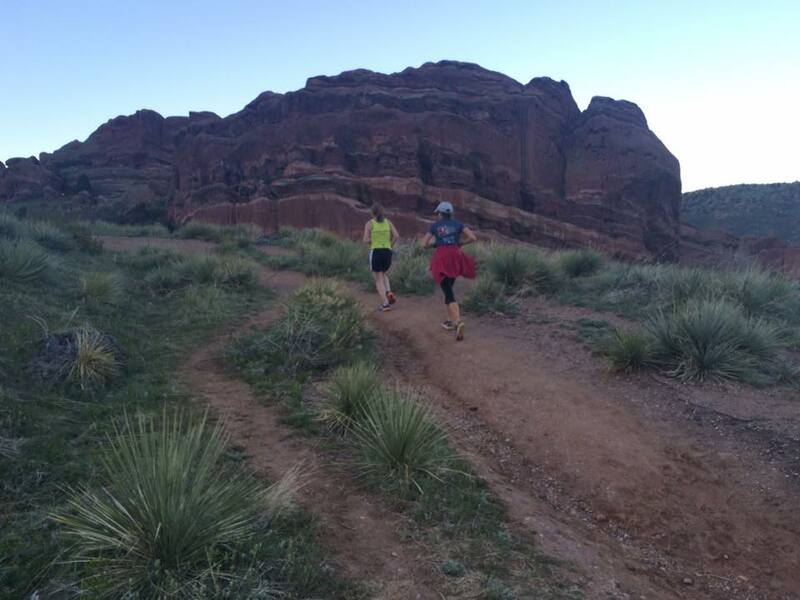 Or training for a summer trail race or relay like the Colorado Ragnar trail relay? Check out our Women’s beginner trail running courses starting in August! In this 6 week course you will gain the knowledge, fitness and confidence so that you can join your friends on their next trail running adventure. 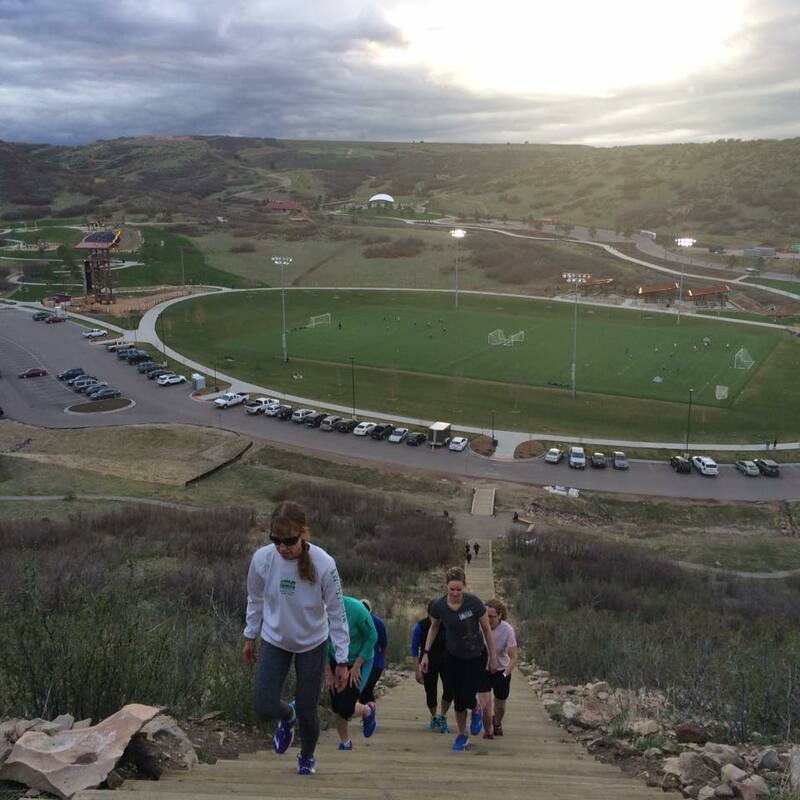 The sessions take place on different trails across the front range and are part running/skills work and part classroom where you will learn how to conquer steep hills, technical sections, how to handle wildlife, what to wear, what to pack and more! This is great! Thank you for sharing. I’m new to CO, moved from the Bay Area of CA, where I did a lot of trail running. 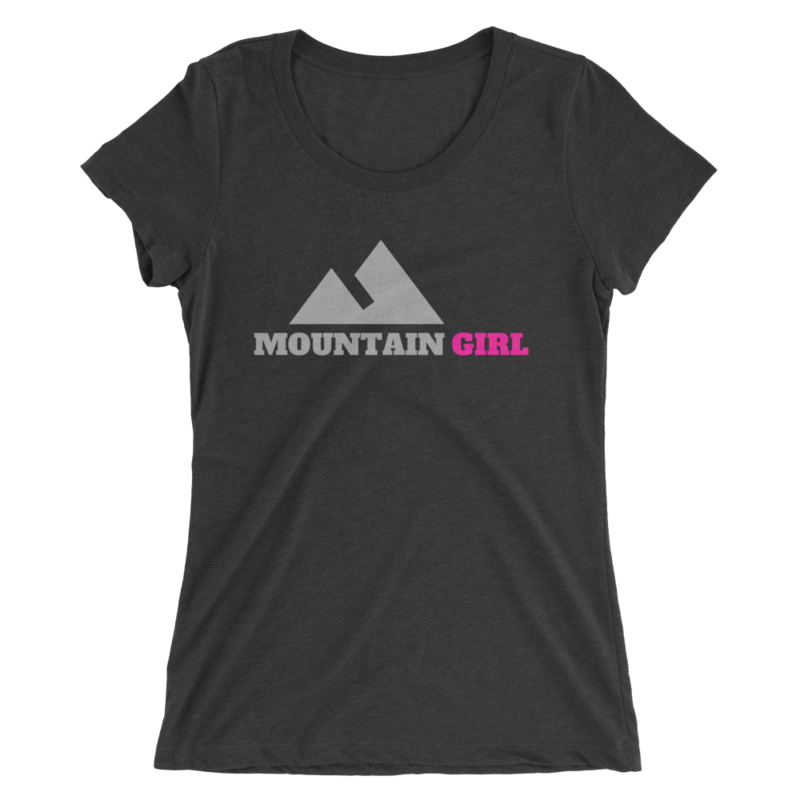 I’ve been trying to find a way to get into it here but had no idea where local trails are or if there were any trail running groups. It seems like this is a great resource!